How do You Highlight Hair? Highlights are used to add depth and light to one's overall hair color. 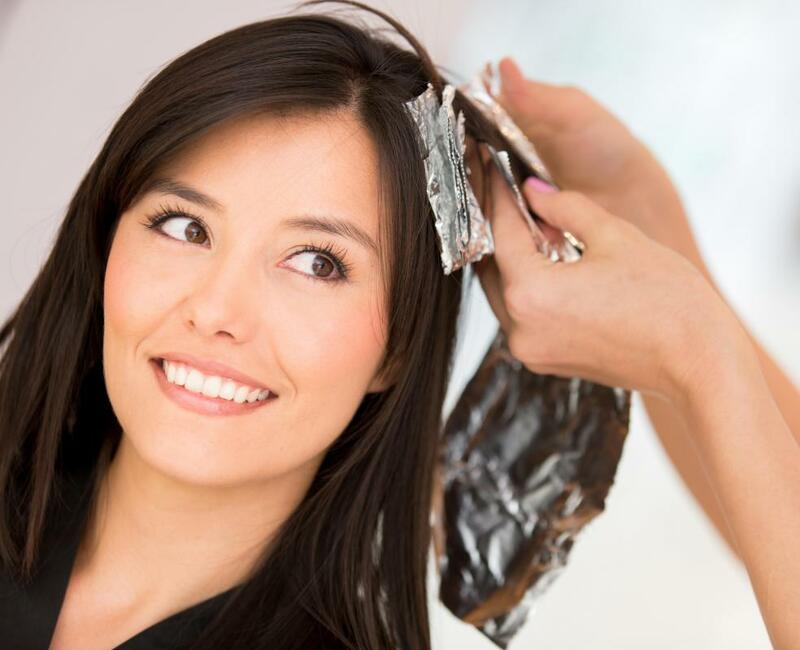 Professional stylists often use aluminum foil for highlighting. 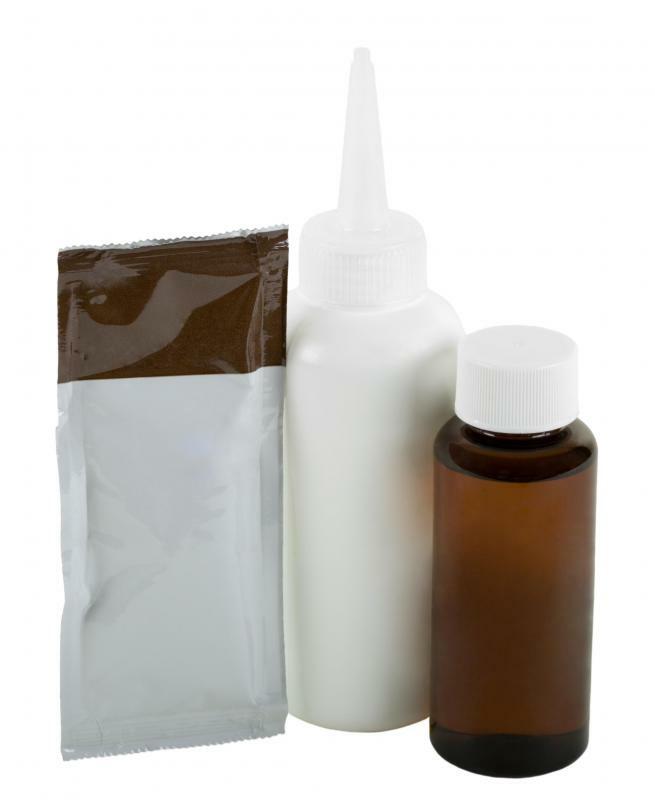 Hair coloring kits may be used to highlight hair at home. Professional colorists determine where highlights will go for the best results. Highlights are locks of hair that have been treated with a chemical meant to lighten the selected strands by two or three shades. The purpose of highlights is to add depth and light to one's overall color. Highlights are sometimes used in conjunction with lowlights, which are two shades darker than the overall color. There are two main methods used to highlight hair. One is referred to as the cap method and the other is called foiling. The method chosen depends on the desired effect and the preference and skill of the person creating the highlights. Using the cap method to highlight hair is the easiest process for the novice or home colorist. To begin, one must purchase a highlighting kit that includes a cap, hook, gloves, and hair lightener. These caps are covered with small, evenly spaced holes which helps to ensure the highlights are well distributed and consistent. To highlight hair using the cap method, one begins by placing the cap on the head so that it covers all areas where highlights are desired. The next step is to pull strands of hair through the holes with the hook included in the kit. One can control the boldness or subtlety of the highlights by skipping holes or adjusting the amount of hair that is pulled through each individual hole. This method works best on short hair because long hair can become tangled under the cap as it is pulled up into the holes. Once the strands are ready, the highlighter should be mixed, then applied to the hair. It is important to wear gloves and use care when applying the highlighter so none gets on the skin. The amount of time for the highlighter to remain on the hair varies, so one must carefully read the instructions that come with the kit. Most professional hair stylists use the foil method to highlight hair. The same general instructions apply to foiling but there is no cap and the person doing the highlights must determine where each highlight should be placed. To highlight hair using the foil method one selects a section of hair, holds a piece of foil under the section, then uses a brush to "paint" the lightening solution onto the hair. Then, the foil is folded over the highlighted section to protect it and keep it from touching other sections. This is the best method for long hair, as the hair does not get tangled. What Are the Best Tips for Combining Highlights and Lowlights? How Do I Choose the Best Highlighting Kits? What is a Surface Highlight?